Item # 316272 Stash Points: 4,995 (?) This is the number of points you get in The Zumiez Stash for purchasing this item. Stash points are redeemable for exclusive rewards only available to Zumiez Stash members. To redeem your points check out the rewards catalog on thestash.zumiez.com. 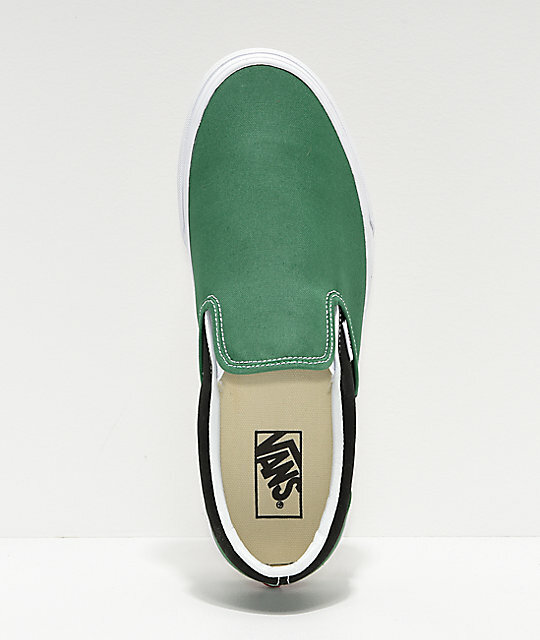 Reviving their past, Vans presents their Slip-On BMX Green, White and Black Checkerboard Skate Shoes. 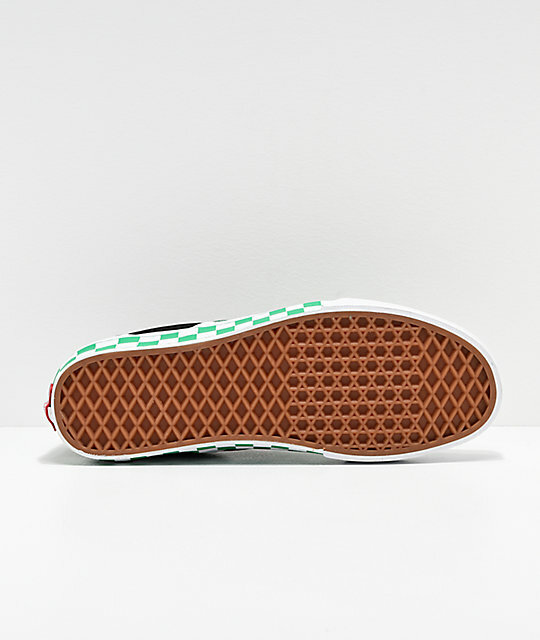 Part of the brand's signature BMX Checkerboard Collection; an homage to their heritage as the first action sports apparel/footwear company to support BMX culture. 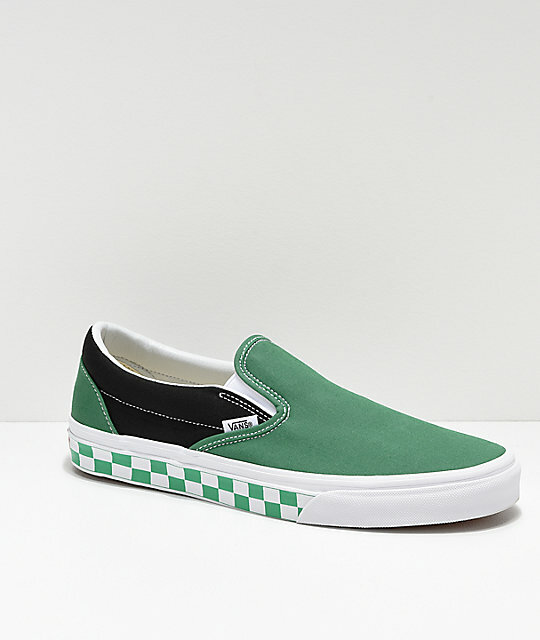 Vans' designers drew inspiration from BMX team riders in the late '80s and early '90s; an influence easily seen upon these Slip-Ons tri-colored composition as well as an eye-catching checkerboard print pattern displayed along the outsole sidewalls. 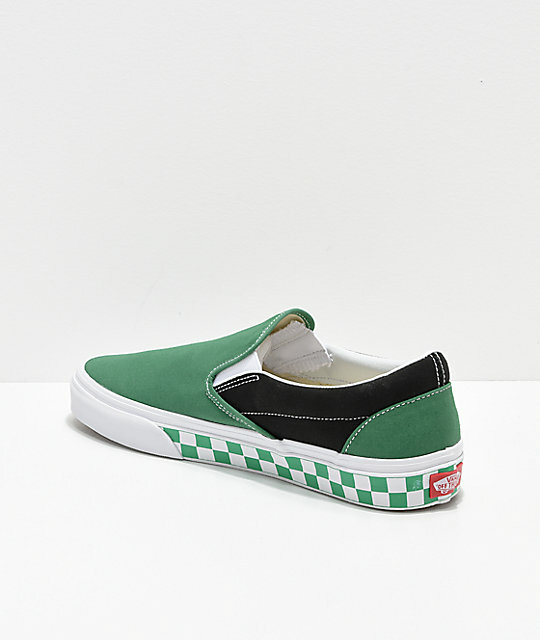 Slip-On BMX Green, White & Black Checkerboard Skate Shoes from Vans.